Kristi @ The Potter’s Hand Academy — Technology in Homeschools: Necessary or Not? How do you responsibly use technology (which I believe that kids need to know, in our current technology driven society), and not go overboard (which is SO easy to do!)? Here are some of my best tips. Annette @ A Net in Time — Computers and Learning for Children. Can it be true? Whenever we go out for walks or just out for whatever reason I tote along my phone so that when he asks a question I can immediately look it up if I don’t know the answer myself. I definitely have a love-hate relationship with technology! Without a doubt, our family would have to make some rather major changes to how we homeschool if it weren’t for technology. We love to use technology in our classroom. How about you? I mean how do you get by without some technology these days? There are so many options. If I could have just one thing that could accomplish all my homeschooling for me, that would be the iPad. This little device is amazing. We have apps, but that is not our main use for the iPad. Here’s what we really use it most for and why for us it has become almost indispensable. 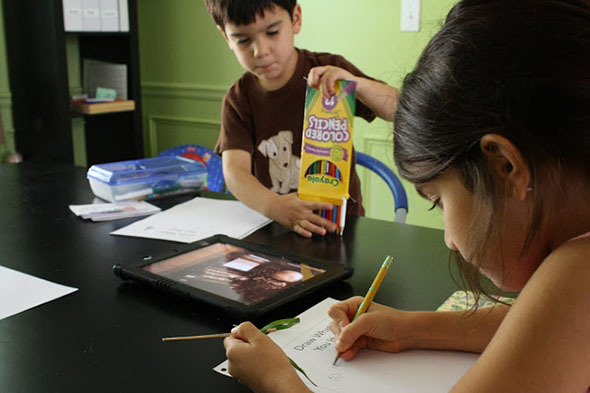 How we use tablets and some of our favorite educational apps! Gamification is a buzzword these days – the idea of taking the key features of a video game structure and applying them to non-gaming situations, turning otherwise potentially mundane activities into play and adventure. From DVDs to digital teacher’s manuals to readers, we utilize technology quite a bit throughout our homeschool day. In our home we really like to keep our big kids unplugged. While that is our philosophy it isn’t very practical in this day and age. So we have slowly allowed some screen time in. We are constantly using technology throughout our homeschool day. When you think about it, it’s really hard to get through the day without it. I got a Kindle Fire last year and I love it. It will never replace my book collection but it’s so handy for traveling, on-the-go, and getting books right away. I also love that my kids can use it as part of their schooling – we have read books on it together and there are so many different educational apps and games available for them to use. Someone asked me about apps the other day so I thought I’d write up a blog post about some of the ones we’ve found and loved. When we made the decision to homeschool last April, I knew technology would be an important component. 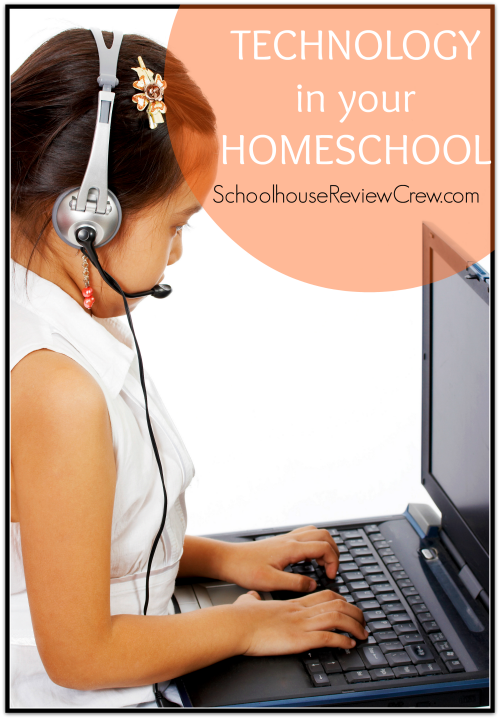 However, I had no idea then just how essential technology would be to our homeschool. 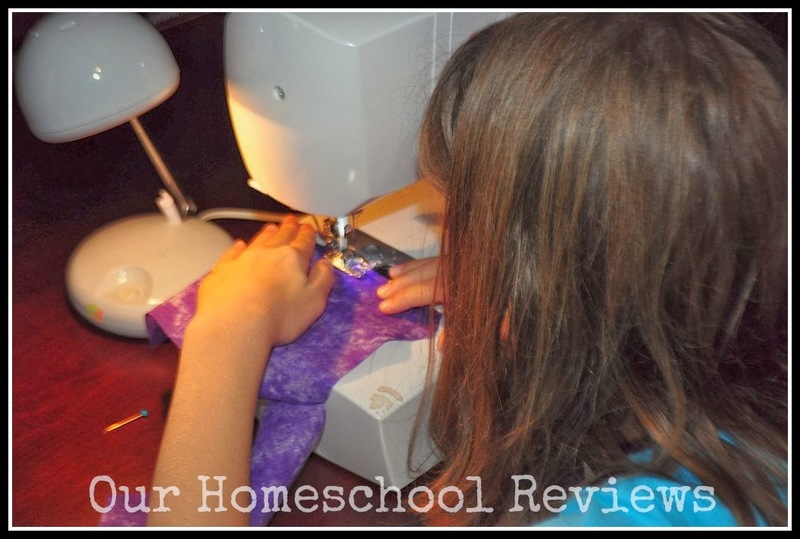 We don’t have a TV in our house but we do use technology in other ways in our homeschool. We enjoy educational DVD’s, computer games, and apps. The iPad has become my friend during school time as my kids take turns playing educational games while I work with their siblings. We use various websites and programs to add some depth and fun to our learning. I find the internet helpful for finding out about topics I don’t know a lot about, and for making some concepts more exciting. 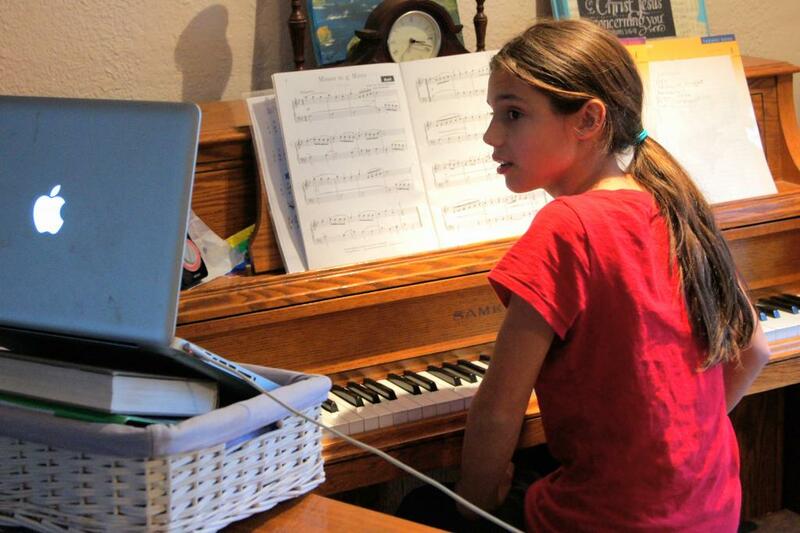 From music lessons to foreign language, we integrate a lot of technology into our homeschool. With that said, however, we also have four tips that have been technology a helper and not a hindrance in our home along with One Top Technology Tip . . .
We use on-line teaching programmes this brings many benefits. However, I do have some reservations. I can’t imagine what I would do without technology. In today’s Schoolhouse Crew blog carnival post, I’m taking a look at how many ways I use technology in our homechool. ruthfully I could not remember why I had wanted a tablet in the first place. My daughter seemed to use it much more than I and all I did was read books on it. Technology in our homeschooling is such a blessing, but we also have to watch out for its limitations as well. I don’t know about you, but I LOVE free. I also love interactive and COOL. There are sooo many free and cool resources on the web that we’ve enjoyed using in our Homeschool. Here are 10 of them.